This beautifully appointed accommodation is spacious yet warm and cozy. With high ceilings and original redwood trim the room is a classic example of the era. It has a king bed, an antique armoire, and a toasty English fireplace. Sip morning tea or coffee in the bay-window sitting area. 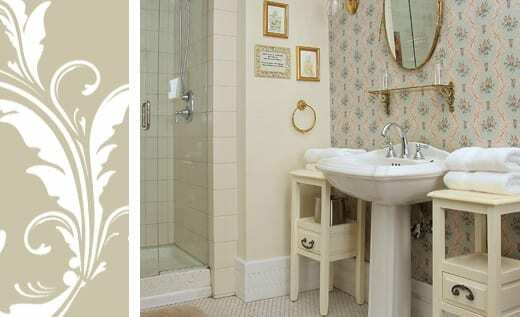 The bathroom is sumptuously sized and features a large rain forest style shower and a pedestal sink. Named in honor of the sister of the builder of this special Victorian Hotel, Maggie Russ. Amazing historic property. The staff goes out of their way to ensure your stay is incredible. From the custom flowers in our room to the delicious meals in the dining room. It was truly a romantic getaway!